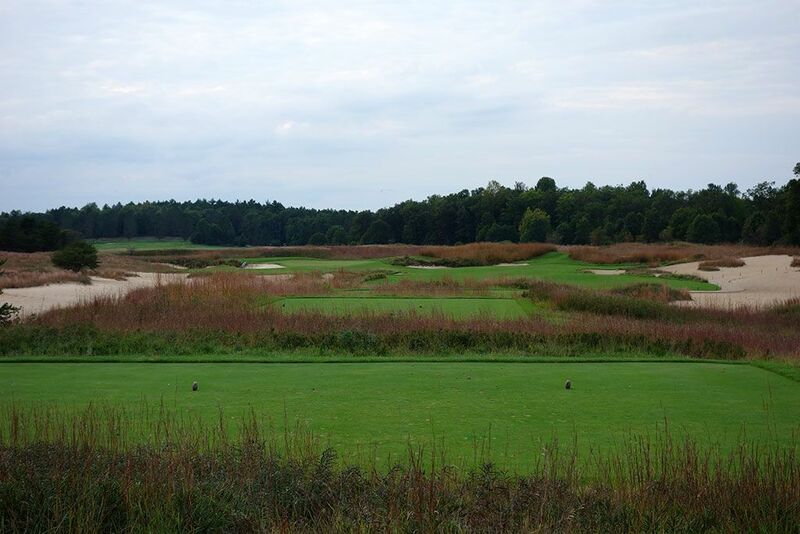 Course Website: Official Website - Visit Forest Dunes Golf Club's official website by clicking on the link provided. 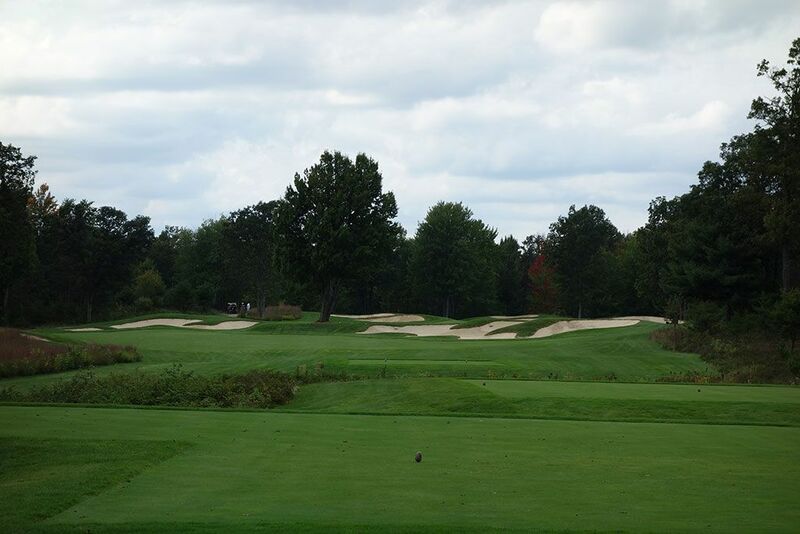 Accolades: Ranked 5th in Michigan on Golf Course Gurus' Best in State list. 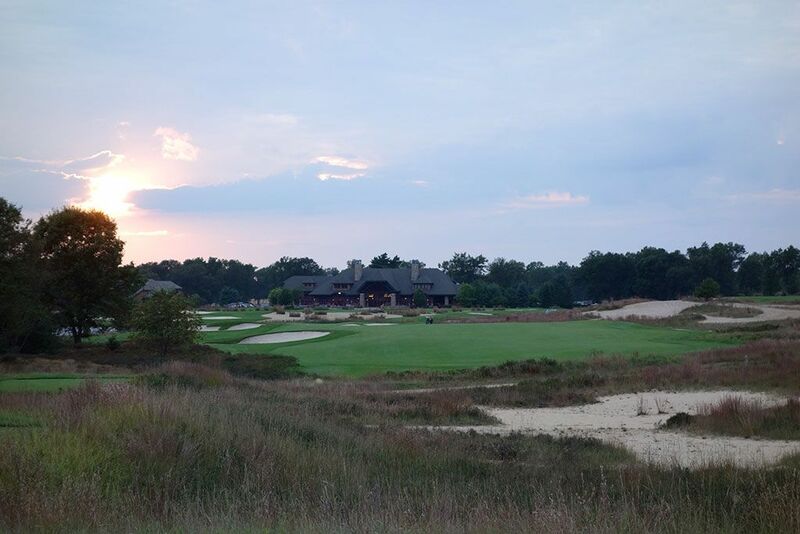 What to Expect: Located in the golf mecca of Northern Michigan, the Tom Weiskopf designed Forest Dunes course has become a not-to-be-missed destination in the area. 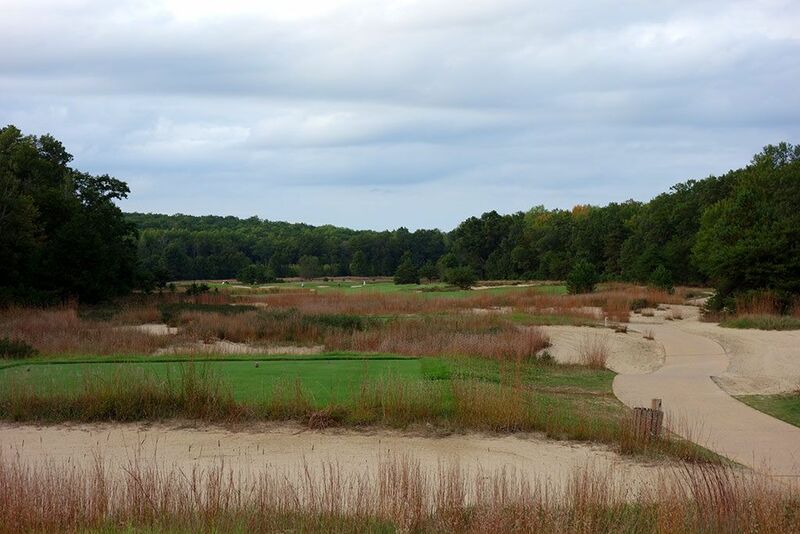 The front nine has a parkland feel while the back nine plays through sandy wasteland that has drawn comparisons to Pine Valley. The topography is rather flat which is nice for those walking the course but is a bit mundane at the same time. 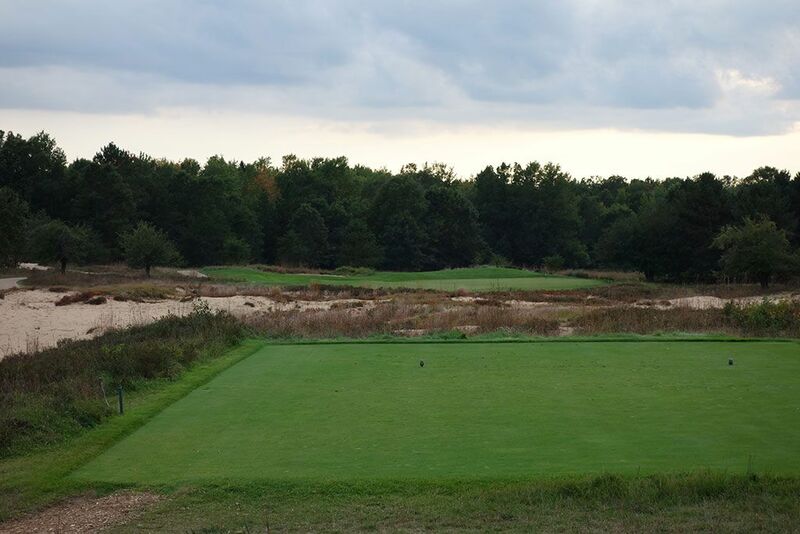 The course enjoys a peaceful remote setting devoid of housing and rests on a portion of the 500 acres the club owns within Huron National Forest which makes wildlife sightings commonplace. There is a good variety of challenges to contend with throughout the round with the bunkering, water hazards, and trees complementing the undulated greens and forced carries. The clubhouse and amenities are something you are more likely to find at a private club than a public facility with a day spa, locker room, and excellent dining. 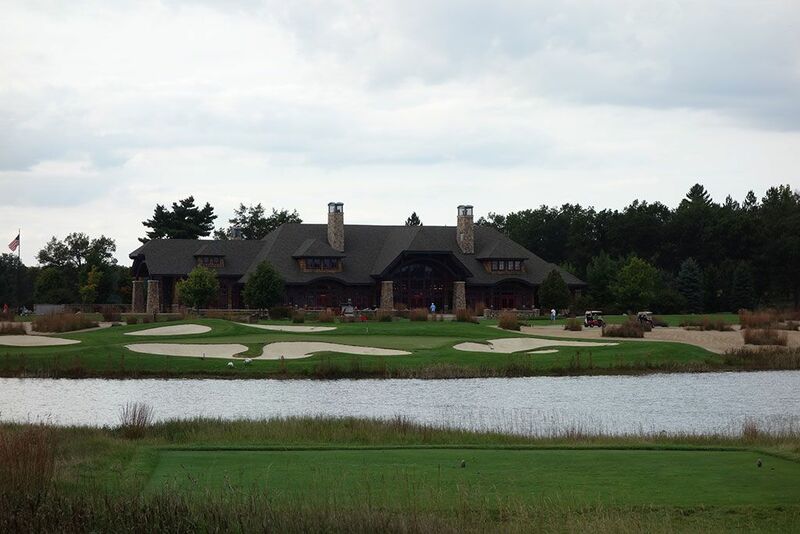 14 lodge rooms were built for patrons to stay in when planning a multi-day trip to Forest Dunes which will work nicely for players wanting to experience both routings at the new Tom Doak designed reversible routing Loop course. Signature Hole: 9th Hole – 203 Yard Par 3 – The closing hole on the front nine is also its most picturesque with this one-shorter that plays over the water. Five bunkers and a waste area create a virtual desert island to shoot for while many onlookers will surely be watching your effort from the clubhouse and outdoor dining area that stand as a backdrop to the green. Take note of the American flag left of the clubhouse to get an extra hint of how much wind to factor in on your tee shot. Best Par 3: 16th Hole – 233 Yards – Nicknamed "Hell's Acre," this lengthy par three plays over a large waste area to a green that features a left to right slope with an area in front of the green to chase your ball up. The middle section of the green feeds back to the center of the putting surface while the front and back thirds each run away towards the fringe. Best Par 4: 6th Hole – 378 Yards – Dubbed "Gamble," the 6th hole features a split fairway that requires players to both think and consider their strengths and weaknesses. A drive up the right side needs to fly 230 yards to clear the bunker separating the two fairways while avoiding the additional bunker resting 250 yards out. From the right fairway the green presents its most inviting angle with a clear opening to the putting surface. Playing up the left fairway, players need to hit their drive less than 255 yards to avoid tumbling into the bunker while still hitting their tee shot far enough to clear the large tree that lies in wait to swat down approach shots. Players coming in from this left side will need to carry a pair of bunkers before reaching the playing surface, so if you hit a low ball you better stick to the right. Another par four of note is the 13th where a twin trees on the right side of the fairway create havoc on approach shots, particularly when the flag is on the right half of the green. 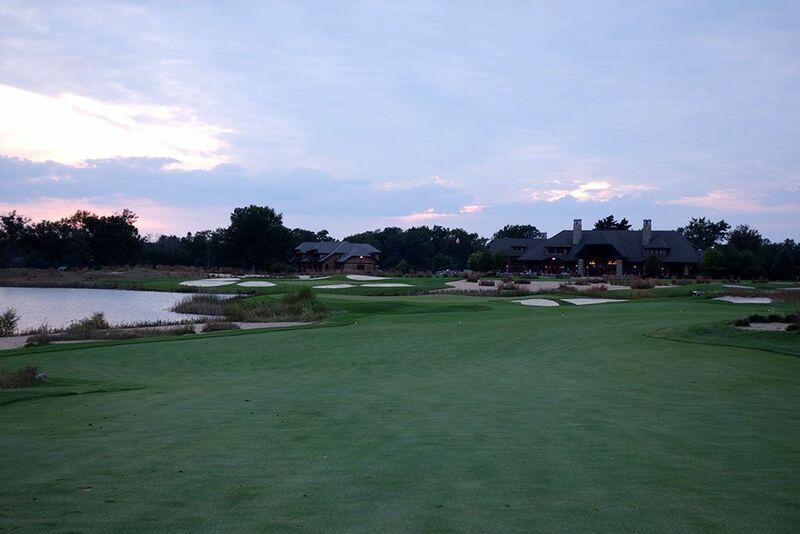 Best Par 5: 18th Hole – 530 Yards – The closing hole is a great risk/reward opportunity that can gives players a chance to walk away with a birdie and a great feeling when wrapping up their round at Forest Dunes. To reach the green in two players need to avoid the two fairway bunkers found down the left side and place their tee shot on the right half which will open up the angle to the green. The approach shot is played to a green that is surrounded in the back by water and a pot bunker. A trio of bunkers line the path to the green on the right side though the greenside bunker isn't a terrible place to get up and down from. If you are on your way to a personal best round, this is the type of hole you love to see as the closer. Birdie Time: 17th Hole – 302 Yard Par 4 – At just over 300 yards from the tips this short par four should have you licking your chops as you embark on two great birdie opportunities down the stretch at Forest Dunes. The front of the green is wide open so taking dead aim over small bunker on the left side of the fairway will put you in line with putting surface and requires just 225 yards to clear the sand. While the green has some challenging undulations to contend with, this is a birdie chance not to be passed up on. Bogey Beware: 14th Hole – 464 Yard Par 4 – Nothing short of two great shots on this hole will suffice to avoid walking away with a bogey. 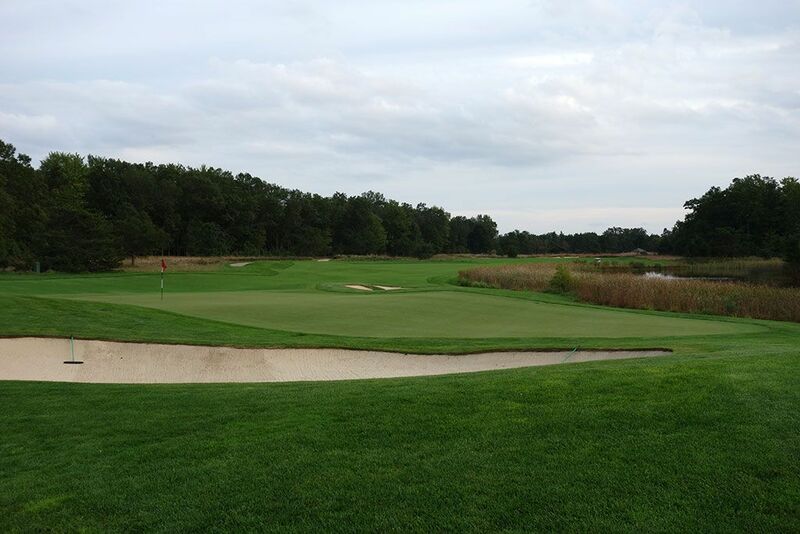 This lengthy par four features a tight landing area that is pinched by a pond on the left and a bunker on the right. The approach shot plays to a wide green that is very shallow and is protected by a trio of bunkers that demands accuracy and excellent distance control to reach in two. With a waste area looming right of the green and water on the left, there is no shame is laying up to a distance you feel comfortable with and then trying to get up and down. If you flounder with a bogey or worse here, you will have some great opportunities at the end of the round to get those strokes back.